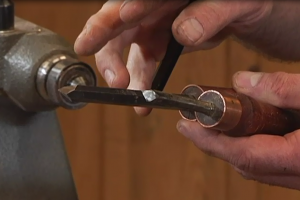 Learning to turn wood on a wood lathe is a skill many woodworkers desire to master. For the novice woodworker, the thought of turning wood can be intimidating. Advanced woodworkers desire wisdom and tips from experienced turners to allow them to further their talents. 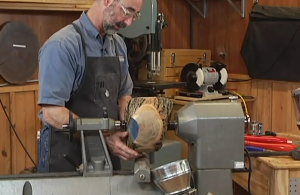 In this comprehensive turning video, Master Woodworker George Vondriska helps you to get the most out of your lathe as you improve at wood turning. By learning the advanced lathe techniques presented in this tutorial, you will be able to complete more detailed and intricate pieces. Each chapter of the two-hour video contains a diverse project – from sharpening chisels, to making shop tools and kitchen utensils. You will increase your wood turning skills as you learn from George’s vast experience and practice the advanced techniques needed to complete each piece. As you grow in your turning abilities, projects that were once out of reach will now become possible, increasing your confidence and the enjoyment received from working with wood. In this video, George walks you step-by-step through multiple advanced turning processes with simple, easy to follow instructions. 136 minutes. 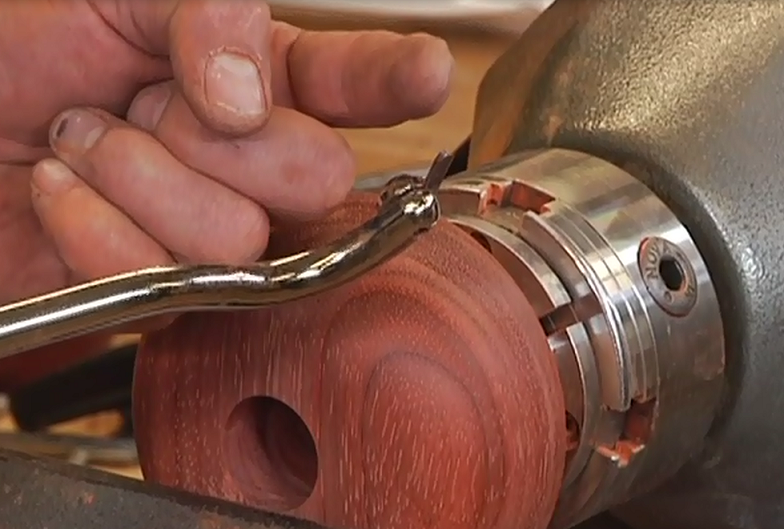 Add a whole new dimension to your woodworking as you create beautiful projects by advancing your wood turning skills. 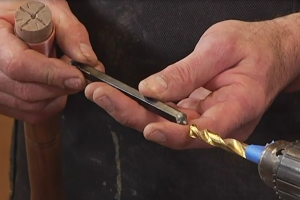 Your friends and family will be amazed at your new, turned creations. Click below to download the FREE PDF that accompanies the Advanced Turning Techniques video download.